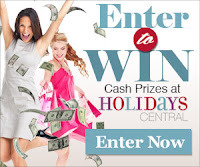 I love to find giveaways for cash, Amazon cards, or VISA gift cards, because they can be used any way that you want! 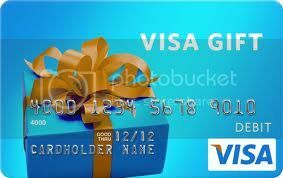 So I've joined forces with some great bloggers to sponsor this giveaway for a $200 VISA gift card! Disclosure: Frugal Follies is not responsible for prize. If you have any questions about this giveaway please send an email to nysavingspecials@gmail.com. All entries are optional, if you do any of the tasks you can collect the entries, even if you do one entry you can get the extra 1 entries but if the winning task is a task you did not complete, a second winner will be chosen. If the winning task is the one you did you will be the winner. This would be a nice surprise! This would be great for new baby and me not working as much now! I think that is what everyone else likes in a giveaway too, options! Generous giveaway. I'd sure enjoy this! I could use this to help buy things I need for college.